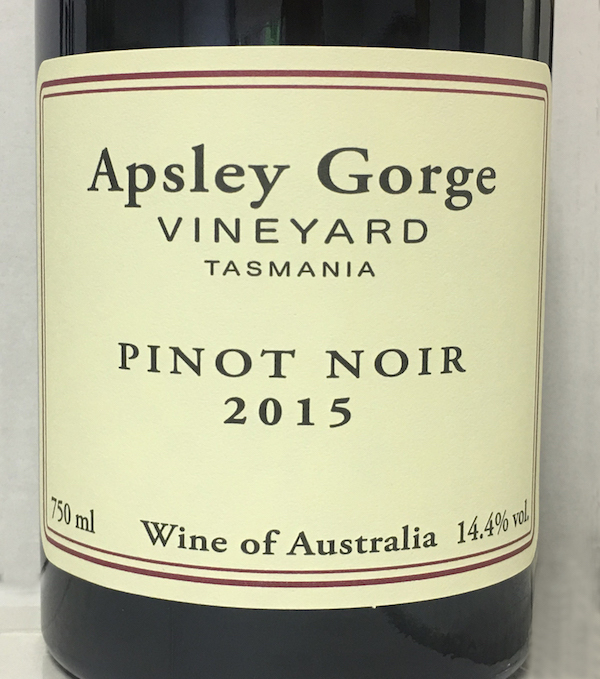 The color is typically dark and intense as you would expect of an Apsley Pinot. The nose shows rich, ripe, Pinot fruit with an underlying charcuterie character. Even as a young wine this is showing its ageing potential. The initial palate is of that rich Pinot fruit that was also on the nose. Leading on from this the wine is a textural sensation of the fruit, the subtle tannins, and the complex aspects of the natural yeast. Even though there is the hallmark of ripe East Coast fruit there is an underlying acid background uniting all of the components into a seamless, balanced wine.